Nummular Eczema is a chronic skin disorder that is said to affect two out of every 1000 people in the United States. Read and know all about the causes, symptoms, diagnosis, treatment and more about this condition. 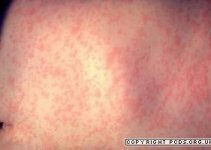 The disease is comparatively uncommon. However, it mostly arises in elderly people. Due to this reason, old age is supposed to be associated with the condition in some way. The condition is most common in individuals aged over 50 years. People who suffer from severe acne and receive Isotretinoin for treatment are also more likely to suffer from this skin disease. People of any age can suffer from this skin condition. However, it is seen to arise most in patients within the 55-65 age group. The disease is believed to be more common in males even though some also suppose women to be the prime sufferers of this condition. Women usually suffer from the first outbreak of the disease when between 15 and 25 years of age. The diagnosis of this condition is generally made by simple physical observation of the skin appearance. Doctors also ask patients about the medical history of their family. In some cases, a skin biopsy may be required to rule out the presence of other similar disorders. This involves taking a sample of the affected spots and evaluating them under a microscope in the laboratory. A skin biopsy can help rule out any cancerous skin condition. Redness and itching may improve with frequent application of moisturizers. Regular use of moisturizing creams or lotions can prevent dryness of skin. Applying a thick moisturizer over dry, scaly patches can help moisten the region and provide relief from itchiness. Patients should also try to avoid irritants like discomforting clothes, chemicals or very hot water. Skin experts advise against bathing frequently or using soaps that result in too much dryness of skin. This can worsen the condition by aggravating its symptoms. The symptoms of this disease can be controlled or prevented from worsening by avoiding intake of certain foods and using clothes made of substances like wool and lanolin. Use of oral or topical medicines may also help reduce the discomfort caused by this disease. Penicillin antibiotics can be prescribed as a part of the treatment if signs of infection are detected in fluid-filled (oozing) blisters. 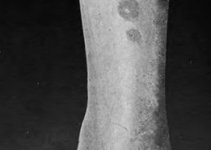 If the lesions ooze, use of oral penicillin antibiotics like Flucloxacillin can be effective. In some cases, anti-histamines are administered to patients who complain of itchy symptoms. Antihistamines taken by mouth can provide relief from itchiness in the affected spots. In patients with hypersensitive immunity, immune responses can be controlled with the aid of antihistamines. In acute cases, corticosteroids like Prednisone may be administered orally or through injection for 1-2 weeks until the symptoms are brought under control. This may be followed by treatment through topical creams and lotions for continued management. Sufferers may also be recommended skin lotions, moist bandages or soaps which help heal the spots and reduce dryness and scales in the healing areas. Patients with acute symptoms may be prescribed skin ointments that contain immunosuppressive drugs, corticosteroids or tar. The therapeutic intervention of this itchy skin disease is decided according to the symptoms displayed by sufferers. It is necessary to strictly avoid exposure to irritants during and after the treatment course. It is also essential to follow a proper skin care regimen and minimize or completely avoid the trigger factors for this disease. Applying Vitamin E on the spots affected by this condition provides relief from itchy symptoms and heals dryness of the skin. Rub this oil over the affected spots for three times every day, preferably in the morning, afternoon and evening. Regular application can make the condition get better within two to three days. Grind leaves of blueberry into a powder form. Combine the powder with glycerin and apply the mixture over the skin spots until the condition shows an improvement. Soak a cotton ball into a small bowl filled with rosewater. Press the wet cotton ball on the affected region to let the rosewater seep into the area. Rosewater has a soothing effect on the skin and restores the natural pH balance of the dermis. Oral intake of zinc tablets and supplements of Vitamin B complex may also help improve the health of skin. This is a long-term or chronic disorder that never really goes away. The symptoms of this disease may subside or worsen over a period of time. However, medical treatment and avoidance of irritants can help decrease the symptoms of the disease. The problems arising from this skin disease can be effectively fought off with medications. Some patients show a good response to treatment by artificial ultraviolet light. However, it is not recommended to deliberately expose the skin to sunlight for prolonged duration as it can increase the risk of sunburn. The disorder usually does not cause any complications. In some cases, however, the skin may suffer from a secondary infection. In rare cases, there may also be a recurrence of this disorder. However, medical science has not yet been able to come up with any specific medication that completely cures this type of eczema. The main difficulty faced in the research for eczema cure lies in the problem that its cause is an unknown one. Shower with lukewarm water. Do not take bath in very hot water as it makes the skin dry out. Apply moisturizers daily on your skin, particularly after taking a shower. This will avoid drying out of the skin, which is one of the main factors for the rise of this disorder. Use gentle cleansers to remove dirt off your skin. Make sure that they do not contain dyes or detergents. These substances can dry out the skin. Washing garments with fabric softeners like Kling can also irritate the skin and produce Nummular Eczema. Wear loose cotton clothes that allow air to dry out the sweat and allow the skin to breathe. Avoid exposure to drastic changes in temperature. Severe temperature changes can adversely affect your skin and give rise to this condition. Avoid consumption of alcohol. Alcohol can act as a trigger for this skin disease and worsen its symptoms. Here are some nummular eczema photos that will provide you with an idea about the physical appearance of skin regions affected by this condition. 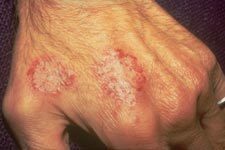 Take a peek at these nummular eczema images and find out how the disease makes the skin look like. If you are suffering from Nummular Eczema symptoms and the discomforts persist despite treatment, call your healthcare provider. Medical attention is even more important if you are suffering from infectious symptoms, such as pain, fever and redness. The faster you begin the treatment, the quicker can be your rate of recovery. You should also modify your lifestyle as a follow-up measure. I have had this skin problem for about 2 yrs. Evert time I went to the doctor he sent me a skin specialist. Evert skin doctor immediately said this is not a skin disorder. You need to see a mental therapist. Now in the past 2 years I have spent or rather MediCare has paid part of the bill and myself the rest. MediCare is the only insurance I have. I have itched so bad that I have actually drawn blood. There have been times I thought I would loose my mind. I have tried to figure out what is causing the problem every night around 7:30 pm after I give my dog her medicine which is Phenobarbital (for seizures)and potassium bromide 3.8cc every night for the last 7 years. Faithfully I give it to her at 7:30 pm and then at 7:30am I give her one phenobarital. I am now wondering what effect these medications that I have in my hand or gets on my body when ever my dog moves her head causing some of the potassium bromide to get on my skin. This is the only thing that I can say I am doing about the same time every day. That is when I begin to itch. Maybe about anywhere from 1 hour to maybe 3 hours is when the itching begins and begins itching for hours until I take antihistamines or some kind og ointment, lotion, or whatever I have available. I also put a COLD COMPRESS on the effected area for faster relief. I am now going to go on-line and read about these two medications maybe they might have an itching side effect . I hope this will help someone else who might be in contact the same time each day with some other medications.